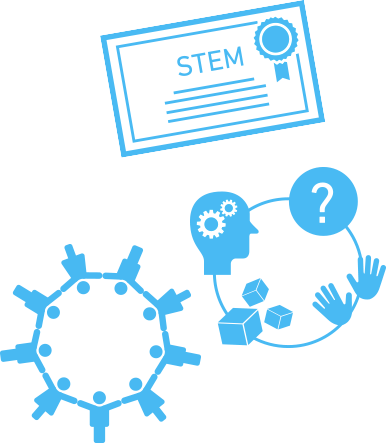 Canada 2067 is a national initiative to shape the future of science, technology, engineering and math (STEM) learning, focusing on Kindergarten to Grade 12. In 2017, Canada 2067 was launched to catalyze a national discussion about the future of science, technology, engineering and math (STEM) education to help young Canadians develop the full range of skills needed to navigate an increasingly complex world and have equal opportunity to study and pursue diverse career paths. Learn more about how Canada 2067 is contributing to Canada’s commitment to meeting the United Nations Sustainable Development Goal #4 - ensuring inclusive and equitable quality education for all. Canada 2067 Youth Summits inspired, engaged and empowered more than 1,000 Grade 9 and 10 students across Canada. Insights gathered through these Summits informed the development of the Canada 2067 Learning Roadmap. below or view summary videos of the youth summits here. Developed through an unprecedented national conversation where educators, youth, science and community-based organizations, industry, government, and Canadians contributed more than 650,000 inputs and ideas.